You’ve probably heard about it elsewhere, and if you haven’t in these Blogs we’ve discussed how the Six Sigma framework defines waste as any activity that doesn’t contribute value. For example, in “Is Quality Control A Waste of Time?“ we looked at the quality control process and saw that it usually just serves to fix the work that should have been done correctly in the first place. If you have error filled products, a QC process is necessary in the early stages of a delivery center, because your clients need to be protected from bad products. Over time, the QC function should focus on finding and eliminating the source of errors, rather than becoming a permanent part of the normal production process. So, QC can be both useful (preventing clients from having a bad experience) and a waste (costly reworking) at the same time. That’s the traditional Six Sigma view. However, it’s wrong in at least one aspect. One of your most important and value-added processes is thrown into the same bucket as QC or other “waste” processes. That function is, Customer Service. We have a shared responsibility for Customer Service being incorrectly categorized. Partially, customer service is mischaracterized by many service delivery groups. Partially, it is misunderstood by Six Sigma experts. Isn’t customer service just a lot of people trying to calm down angry clients because the flaws in how the service was delivered? How is it any different than any other “fix” related waste? Have you already had this disussion with Six Sigma experts, or other quality improvement groups? If you have, you probably needed to gather data and support the argument that customer service is substantively different. But the nature of Six Sigma means that customer service will be examined repeatedly, leading to a loss of management time (and yes, time spent arguing with efficiency experts is waste too). One of the arguments supporting a 4th Sigma process is that because it is designed for Corporate Services, it starts out with different assumptions than generic (industrial) Six Sigma. The 4th Sigma assumes that the customer service process adds value. What sort of value does customer service add? Dynamic quality definitions: Industrial production, which produces many identical products, it is absolutely necessary to have clear, rigid quality definitions before the production process starts. In fact, without very exact and rigid definitions of quality, the products will not work. In services, which produces many similar but not identical, an overly rigid definition of quality degrades customer satisfaction. Because the “resolution” of products is so much lower in services, the remaining few percent of quality definition is provided by the client before, during and after the production process. Some Six Sigma projects have failed because dynamic quality definitions are mistaken as a lack of process control earlier in the production process. When this line of reasoning is followed, rigid but efficient services are created… that no one uses. Customer Service is part of the production cycle, adding value to the end product. Think of an industrial process where a block of aluminum is roughly milled by a fast machine with limited accuracy, and then moved to a second machine that can do the final finishing work. Freedom and Influence: Most industrial goods are consumed by external consumers, who choose products from a marketplace of competing products. Corporate Services are consumed by internal clients, who usually have just one supplier for each product. If an external consumer is unhappy, they may choose a different supplier. This causes irrational improvement to customer satisfaction scores (the lowest scores are the most likely to go away) and equally irrational improvement to customer satisfaction for the new supplier (I’m so happy to get away from someone I don’t like, that I automatically like you). Good examples of this are in changing cell phone providers after a bad experience; your improvement in satisfaction is less likely to come from the new phone plan, and more likely to come from your freedom to choose and/or punish. Without a release valve, Customer Service has the potential to accumulate unhappy clients. Customer service is a powerful option for converting detractors into evangelists. Complaint spread: In previous blogs we talked about clients that react to poor quality by talking to their colleagues. One survey found that 75% of clients tell other people about negative experiences, but only 42% talk about positive experiences. For outliers, clients with very good or bad experiences, a bad experience is more likely to be talked about… and to influence neutral users (those who receive a merely acceptable service). An industry statistic says that a client with a complaint repeats it to 14 colleagues. Every negative story a neutral hears eats away at their own satisfaction levels, even if they never have a negative experience of their own. By providing negative and neutral users with a good “after production” experience, you can raise their satisfaction levels beyond what is achievable through well made products. Addressing minor client complains now, develops a pool of good will that reduces resources consumed when the big complaint arrives (and it will). Only customer service raises client satisfaction to a higher level than is achievable by just producing a good product. That additional satisfaction adds value to your services. Does this mean that customer service is an unlimited good? No. Customer service is just like every other aspect of production, and has to be provided efficiently and effectively. However, traditional Six Sigma… partially due to our own commingling of definitions and positions… tends to look at these resources as unproductive waste. 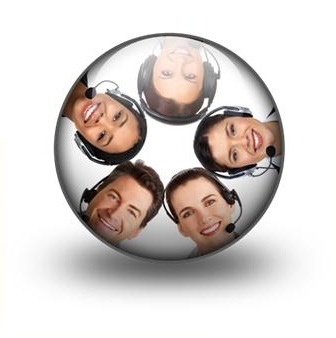 So, keep these issues in mind as our next Blog will look at the importance of customer service in outsourcing. But for today, that’s my Niccolls worth! This entry was posted in 4th Sigma, Best Practices, Continuous or Not, Delivering Services, Improvement and tagged change, corporations, Customer Service, Improve, Measure, Metrics, Projects, Quality, Quantify, Satisfaction, transform. Bookmark the permalink. Your ability to write about this specific info is just what every one of us need. By expressing your understanding you guide other folks via sharing your own personal observations. And I will tell you now your writing served me personally. Spot on with this write-up, I actually suppose this web site wants far more consideration. I’ll probably be once more to learn way more, thanks for that info. After study a couple of of the weblog posts on your web site now, and I actually like your manner of blogging. I bookmarked it to my bookmark website listing and will probably be checking back soon. Pls try my website as properly and let me know what you think.